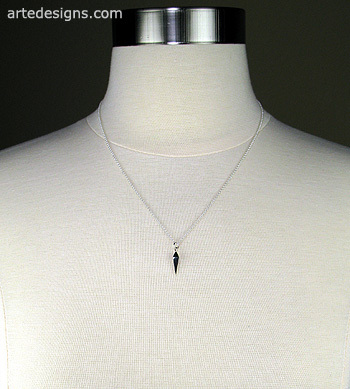 This striking, but simple spike necklace is just what you need to add a touch of edgy chic. Wear it alone or layer it with other necklaces. Sterling silver pendant is approximately 3/4 inch long. 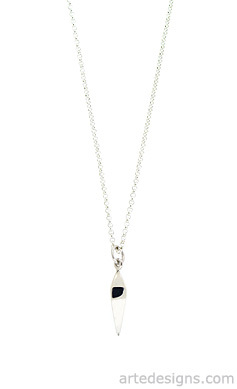 Choose a 16, 18, or 20 inch sterling silver chain with a lobster clasp. "Choose Sterling Silver Chain Length"